involves manipulation of the layers of tissue in the body, including fascia and other supportive tissue that make up the muscles and joints. Remedial massage can include swedish techniques which tend to be much lighter, deep tissue massage usually is slower and firmer, myofascial release treats skeletal muscle immobility and pain by relaxing contracted muscles. This rehabilitative session will help your muscles relax and eliminate any knotted tension throughout your body. Research has proven that remedial massage assist and aids in many health disorders such as high blood pressure, arthritis, chronic pain, constipation and depression/anxiety. Whether you’ve had a stressful day or looking for a sports injury solution, don’t hesitate to cure your pain by booking in a remedial massage at Spinal Care with our very own massage therapist . Relax and unwind by calling us on (02) 8964 6385 or book online to see Jessica (link to bio) our massage therapist. Have you ever found yourself trying to avoid the stairs because of the pain that follows? Knee pain is a problem treated frequently by physiotherapists at Spinal Care Sydney Olympic Park. While there can be several reasons behind the cause of knee pain, a common reason is poor patellar tracking. What is patellar mal tracking? Patellar mal tracking is when the patellar (kneecap) shifts out of place as the leg bends or straightens. In most cases, the patellar shifts too far towards the outside of the legs but in some instances, it shifts too far inside the leg. The knee joint comprises of a complex hinge that joins two bones of the lower leg with the thigh-bone. If a problem occurs with any of the parts surrounding the knee, it can lead to patellar mal tracking. What causes patellar mal tracking? How do I know if I have patellar mal tracking? How can patellar mal tracking be treated? With a large volume of patients coming in with knee pain, Rebecca, our physiotherapist at Spinal Care Olympic Park is no stranger to treating patellar mal tracking. Through correct diagnosis of the problem, Rebecca will provide an exercise or rehabilitation program that is tailored specifically for your condition. Techniques to keep the kneecap in proper alignment will also be given in addition to the program which will help both rehabilitate and strengthen the knee. If you are experiencing discomfort to your knee or suspect you have patellar mal tracking, make an appointment to see a physiotherapist now. Call us on (02) 8964 6385 or book online to see Rebecca (link to bio) our Physio. One of the most common problems treated by physiotherapists at Spinal Care Olympic Park is shoulder pain - in particular, injury to the rotator cuff. The shoulder is one of the most mobile and used joints in the body and as a result, is often susceptible to injury, and wear and tear. What is the ‘rotator cuff’? The rotator cuff comprises of four muscles that are responsible for keeping the shoulder joint stable. Unfortunately, injury to the rotator cuff is extremely common due to the frequency of which we use our shoulders and subsequently, repeated overuse. Injury to the rotator cuff often takes shape in the form of a strain or tear to the cuff, its muscles, tendons, and joint capsule that stabilises the shoulder. Who is affected by rotator cuff injuries? What does it feel like? Due to the frequent use of our shoulders, injury to the rotator cuff can occur amongst individuals of all ages - from athletes to heavy labourers, older adults, and younger adults who may have been partaking in an activity as simple as walking a dog that pulls on the leash. If left untreated, injury to the rotator cuff can cause severe pain, decrease ability in the arm, and discomfort later in life. If you are experiencing discomfort to your shoulder or suspect you have injured your rotator cuff, make an appointment to see a physiotherapist now. Call us on (02) 8964 6385 or book online to see Rebecca (link to bio) our Physio. With technology being readily integrated into everyday life, it has become commonplace to blame our headaches on the long hours spent in front of computers and other smart devices. However, little do most people know that poor posture is in fact a common cause of headaches. A typical example of poor posture being the cause of a headache is the ‘forward head carriage’. That is, when the head starts to push forward beyond the shoulders; as the head moves forward whether it be from leaning closer to the monitor or hunching over to text, the behaviour of the neck and shoulder muscles starts to change. When this occurs, the neck muscles and upper body becomes imbalanced with some muscles growing tight while others grow weak. This can cause muscle strain placed in certain areas which can in turn cause inflammation and pain, thus triggering common migraines and headaches. How can Chiropractic help alleviate headaches? Chiropractors perform spinal manipulations and adjustments to improve overall spinal function. This helps alleviate stress on the spinal system. Aside from manipulations,chiropractors provide advice on posture, ergonomics (work postures), exercise and stretching techniques which can help relieve tension in the neck and upper back muscles. Provide immediate relief in addition to preventing future headaches through adjustments and manipulations. Frequent and ongoing headaches can detrimentally hinder one’s quality of life if left untreated. If you are experiencing headaches or know someone who suffers from headaches, it may be time to see a chiropractor. To seek relief and prevent future headaches from occurring, call us at Spinal Care Sydney Olympic Park on (02) 8964 6385. Alternatively, book online here. Definition: The position in which someone holds their body when standing and sitting. Research has also shown poor posture can increase feelings of depression, affect your digestive tract and influence confidence and stress levels. To maintain correct posture you must always be aware of how you sit, stand or lie down. If you are concerned about your posture and experiencing pain call us on (02) 8964 6385 at Spinalcare Chiropractic Sydney Olympic park or simply book online at www.spinalcarechiropractic.com.au/makeabooking. and let us take care of you! At the Chiropractic appointment the Chiropractor will conduct a thorough consultation and examination asking you questions about the history of your neck pain, symptoms, what movements make it worse and what makes it better. The Chiropractor will also check to see how well you move your neck during the examination and will look for numbness or tenderness and tingling in your arms or hands. If you are suffering from neck pain from lifting, falling, whiplash injury or simply feeling pains from sleeping in an uncomfortable position it’s a good time to see a Chiropractor for treatments before it gets worse. Injuries resulting from abnormal motion can cause muscles to become overextended and the vertebra in the neck to shift out of alignment. Chiropractic treatments can re-align your vertebra and restore normal motion in your neck. According to the 2014-15 National Health Survey, about 3.7 million Australians (16% of the total population) have back problems and of that total, 70-90% of people suffer from lower back pain. Back injuries can lead to lower back pain as the muscles, ligaments and discs are strained and/or torn. Back injuries can occur when undertaking a variety of activities from using poor form when lifting heavy objects; sudden movements or moving the wrong way; sports injuries that involve large forces of impact; to automobile accidents. These incidents often result in acute back pain – pain that can last for a few days to a few weeks. Stiffness, decreased movement of the lower back, and difficulty standing straight are often side-effects of acute back pain. In addition to acute back injuries, there are several medical conditions that can cause back pain. Common conditions include osteoarthritis, osteoporosis, fibromyalgia, inflammatory diseases like Rheumatoid and Psoriatic arthritis, and scoliosis. As the duration of these conditions are often extensive, the associated pain typically lasts over a longer period. This type of pain is called chronic pain. Poor lifestyle choices such as smoking, and lack of exercise can also detriment back and spine health. Smoking causes a lack of nutrients which affect the back’s discs, meanwhile lack of exercise can cause stiffness, weakness and deconditioning of the back. Additional common life choices that can impede back health include posture when sitting and standing, diet, and stress. Chiropractic care can help prevent and alleviate back pain through adjustments, manipulations and soft tissue work. By improving alignment and correcting misalignment through functional examinations and postural adjustments, chiropractic care can benefit those who may be experiencing pain or those who may want to prevent back pain. If this is you, call us at Spinal Care Chiropractic Sydney Olympic Park on (02) 8964 6385 or book online at www.spinalcarechiropractic.com.au/makeabooking and let us take care of you! Let’s face it, in a time where Netflix, Amazon Prime, and Stan are available, we would much rather stay at home binge watching our favourite shows. However, staying in one position for a long period of time can be hazardous for our health, especially when we are slouching or lying in ways that strain the shoulders, back, or hips which lets face it - is most of the time when watching shows hours on end. Next time you find yourself binge watching television, keep these tips in mind to keep your spine happy and healthy. Maintain your posture by keeping your shoulders and back relaxed and upright. While sitting upright might not be comfortable at first, your back will thank you for it later. Slouching can lead to tension and stress in various muscles, not to mention place excessive pressure on the lungs, liver, and pancreas. Sitting down places more stress on the spine than standing. You can make television time productive by doing chores that keep you off the couch while watching your favourite shows. Remember to give your spine and muscles a break by standing up once in a while. If you are experiencing back pain or stiffness despite trying these tips, it may be time to visit a chiropractor. To make an appointment with us at Spinal Care Chiropractic Sydney Olympic Park, call our friendly reception now on (02) 8964 6385 or book online at www.spinalcarechiropractic.com.au/makeabooking and we will look after you. Migraines seem to always happen when you are most stressed and come not only with severe and debilitating head pain, but sensitivity to sound and light, dizziness and often nausea as well. No matter how hard you try it seems as though the only thing you can do to endure the pain of a migraine is to wait it out until it is over and try to manage the symptoms to the best of your ability. Chiropractic care can help reduce the frequency and the severity of your migraines, meaning less time cooped up in bed and more time living your life. What many people don’t know is that poor posture can actually attribute to their migraines. Migraines come with a tight feeling in the neck and around the temples, also known as tension headaches triggering migraines. Many migraines actually start in the neck. When you spend a whole day hunched over a phone, tablet and computer screen, you start putting some serious strain on your neck and back muscles, which can increase chances of getting a migraine. According to a study spinal manipulation or adjustments result in almost immediate headache improvement and provided longer-lasting relief and less side effects than typically prescribed headache medication. When your vertebrae are misaligned in this way, it can actually cause the nerves and muscles to become irritated and inflamed. When you get adjusted, this misalignment is corrected and that pain, stiffness, soreness, irritation and migraines is relieved. If you are or have been suffering from migraines, neck pain, back pain or poor posture make a booking with Spinal Care Chiropractic Sydney Olympic Park on 02 8964 6385 or book online at www.spinalcarechiropractic.com.au/makeabooking and we will look after you. The most common condition that contributes to neck pain is poor posture (forward head) and shoulder posture. 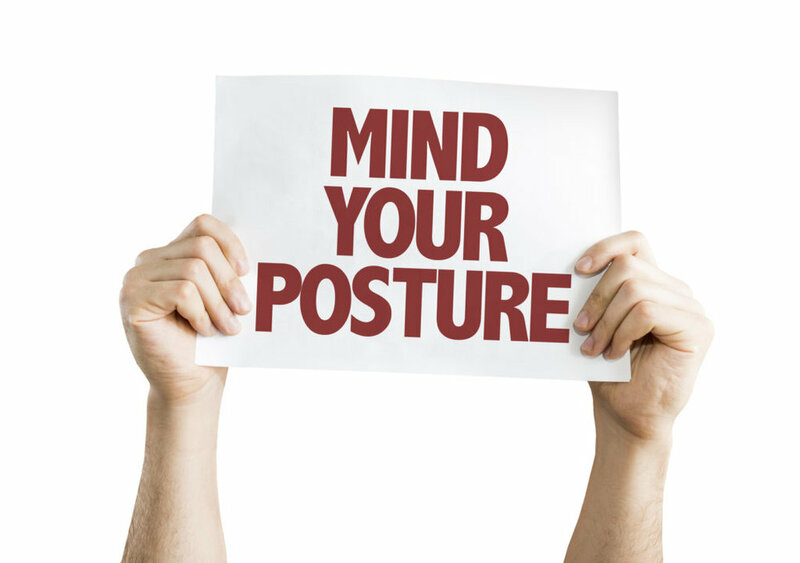 Poor posture affects your upper body because when you slouch, the head and neck goes forward placing the head in front of the shoulders, like a vulture. This unnatural slouching posture causes your neck to stick out and changes the centre of gravity of your head. It’s no wonder poor posture causes alot of pain in the back and the neck and will cause permanent problems if not addressed and corrected. The increased weight of the head forces the neck muscles to bear the increased weight, and they have to contract more forcefully in an attempt to keep the unbalanced head from falling further forward. Over time forward head causes the back neck extensors to weaken and causes chronic tightness and spasm which contributes to degenerative disc disease and other degenerative neck problems. It is encouraged to request to have a sit/stand workstation to perform your everyday tasks and if you do already have one make sure that one side of the body is not constantly rotated more than the other side, and that there is as much symmetry in repetitive tasks as possible. If you or anyone you know are suffering from neck pain and poor posture make a booking with Spinal Care Chiropractic Sydney Olympic Park on 02 8964 6385 or you can book online at www.spinalcarechiropractic.com.au/makeabooking.